Nike has been riching this year 2018 with many several designs and colorways of the famous Air VaporMax. 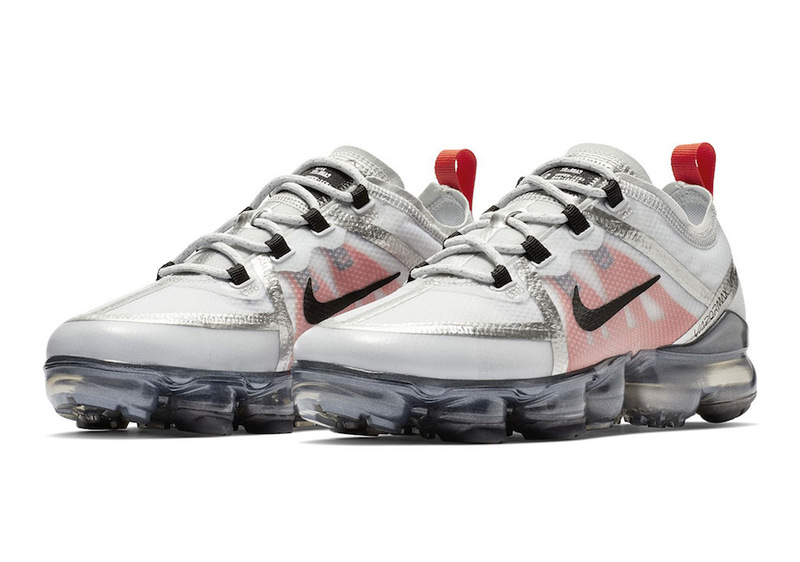 It will continue, Nike aims to release new 2019 VaporMax, this time, the pair will be dressed in a White, Silver, Red, and Black color options. 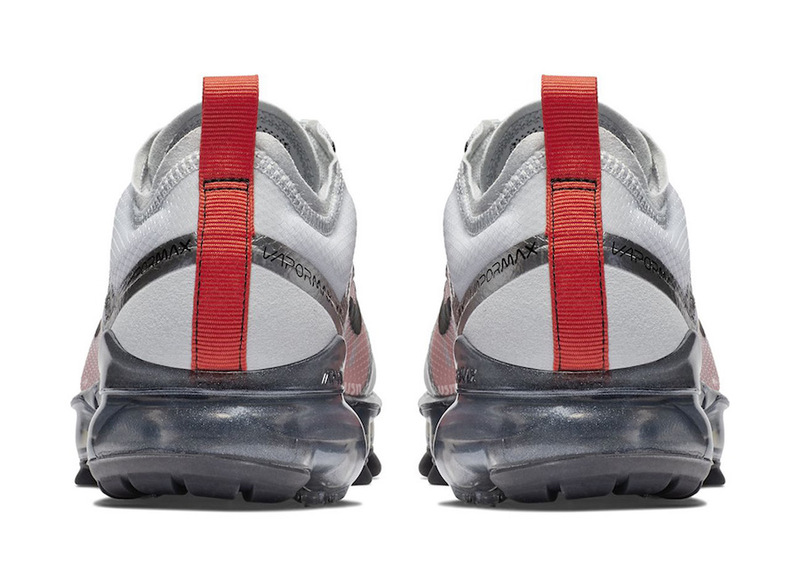 It features a white upper, while a bold Metallic silver hits the tongue and the seams. The midfoot underlay and the heel tabs are covered in Crimson for a fresh look. The classic black color highlight the pair, in the branding areas. 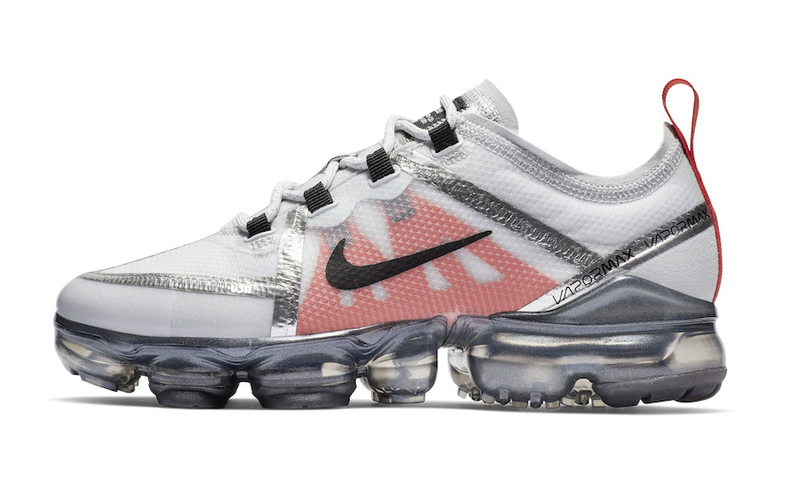 An attractive full-length silver VaporMax Unit sole completes the design. 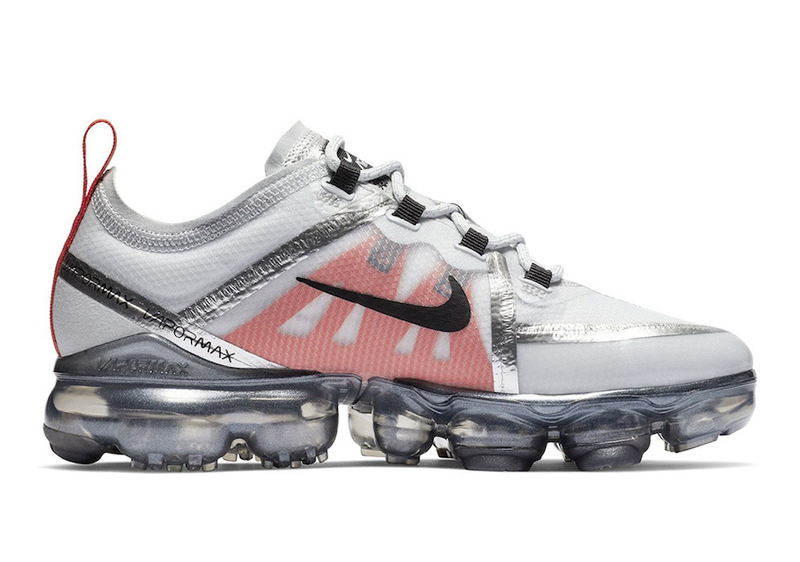 You will be able to enjoy this Nike VaporMax 2019 later this season in GRS and men’s sizing. Check out more detailed images and grab a pair for yourself, retailing at $190 USD.